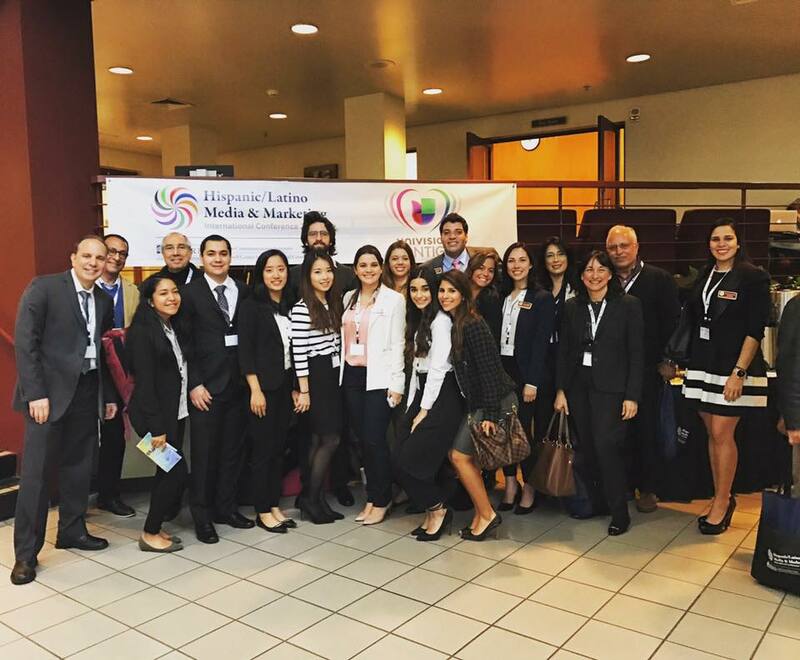 Fifteen students from the Center for Hispanic Marketing Communications, along with director Dr. Sindy Chapa, attended the Hispanic/Latino Media & Marketing International Conference at California State University in Fullerton mid February. Los Angeles — Thirteen undergraduate and graduate students will be representing Florida State University (FSU) with original research on U.S. Hispanic consumers at an international conference mid-February. The students, who have been researching various topics since the beginning of the 2016-2017 school year, will present their findings at the sixth annual Hispanic/Latino Media & Marketing International Conference at California State University in Fullerton. The Center for Hispanic Marketing Communication is a cosponsor of the event — which takes place February 16-18 — along with California State’s Maxwell Center for International Communications and the Latino Communications Initiative. In addition to presenters, various staff members of the Center will be attending the event. About the Center for Hispanic Marketing Communication: The Center, housed at FSU, is the first of its kind in the U.S. Faculty and students operating the Center are conducting groundbreaking research, serving as a resource for the Hispanic and multicultural marketing industry and equipping students with cutting edge knowledge.